We’re going to look at these leadership lessons and see how you can see these lessons as you watch the movie. The United States had fallen under the rule of the aliens that had invaded the world. They gave up and rolled over. Most countries did the same. However, there was a small faction of people who refused to roll over for the aliens. They, instead, chose to fight. They formed a rebel group called Phoenix to fight against the injustice they saw happening. Their goal was simple. They would fight against the aliens. They would help free the human race once more. This was their goal. This is what united them. Leaders who have a goal they can present to the people before them can unite them. People are looking for something to join. For a cause to rally with. By giving people a common goal, you will be able to unite them and help them move towards success. Know your goal. Then let your team know what they need to accomplish. William Mulligan saw an ad in the newspaper for Phoenix Fire Systems. He recognized this ad for what it was. A call to arms. The resistance placed ads in the newspaper to bring those in their inner circle together. Knowing what to look for, they would be able to answer the call when they saw the ad. Leaders need to be aware of the messages being sent. By knowing what to look for, a leader can answer the call when called upon. Your team members will send you messages all day long. These messages are not emails, texts, or voicemails. Instead, these are subtle messages letting you know something is wrong or action is needed. Listen to your team. Learn their language. Know what to look for. You have a choice to make yourself. Don’t make the wrong one. William told Gabe a straightforward message. There’s a choice to be made. Make the right one. Leaders have a choice to make. Day in and day out, you will have to make many choices. It is revealed that William was Gabe’s father’s partner on the force. Because of this, William felt a strong responsibility to Gabe. He needed to protect him. This carried over throughout the whole movie. Never did William’s loyalty and responsibility waver. Leaders have a responsibility to those they lead. They are the heads of the organization and they’re the ones who can make or break a good team member. Great leaders know their responsibility. They will carry it out and help their team members succeed. Gabe’s brother Rafe was reported to have been killed. Gabe believed this. Yet we learn Rafe was not dead. Instead, Rafe was working with the rebel forces underground. His death was a cover to help him stay off of the radar. Leaders have to be discerning of what is the truth and what is a lie. Sometimes, a lie will look like the truth. We have to be careful about what we believe. We have to make sure we’re doing our best to sift through the information given and finding the truth. One day you gotta pick a side. Rafe chose to work with the Phoenix group. He believed they were the right side. However, he could have easily chosen to work with the aliens. Rafe made his choice. His brother and others would have to make a choice as well. Everyone would have to pick a side. Leaders have to pick a side. They cannot straddle the fence between leading for their team and leading for their own interests. Eventually, one side will win out. Make a choice and pick your side. After receiving a message from the rebels, Rafe had to get the message to the next person in line. How did Rafe send the message? He used a carrier pigeon to deliver the code. Out of all of the ways Rafe could have sent the message, he sent the message via an old-school method. This method worked. You will have to communicate with your team. You may be tempted to communicate with new versions of technology. Maybe you’ll send a message through your Slack channel. Or through a text message. You might even think of sending your message through email. But are these the best ways to communicate your vision and goal for the organization? I bet you’ll discover these technological ways of communicating may not be the best way to communicate important messages. You may need to go old-school to communicate well. For important messages, communicate directly and in-person. Use your voice, show your presence. Sometimes, old-school is best. Not only did the rebel forces unite, so did the people of the world. They chose to surrender themselves and unite with the alien invasion. They believed this was the best course of action. However, their unity was not good. Their unity caused pain and allowed themselves to be controlled by outside forces. Know that unity can be used for the wrong reasons. In Captive State, the people united to save themselves but still lost themselves. People in your organization may “unite” under your leadership but are they really united? If people unite for the wrong reasons, dangerous situations can arise. People can revolt. They may choose to spread rumors or look for ways to circumvent those in leadership. Or they may act united under a bad leader and are biding their time until they can leave. A united front isn’t always the best front. William brought Gabe in for questioning. Gabe tried lawyering up. He believed his rights to representation still existed. This is when William burst his bubble. He told Gabe times have changed. Things don’t work the way they used to. Have you experienced this as a leader? 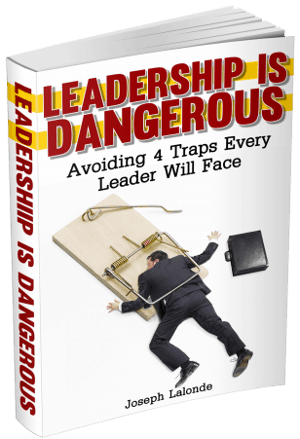 You had a method of leading that seemed to work then all of a sudden, BOOM, things changed and that method of leadership no longer worked. This is because things change. Times change. Leaders have to be able to shift as things change. You have to be watching to see what is working and what isn’t. Then you have to shift. You expect me to trust you? William hadn’t given Gabe many reasons to trust him. When William offered to let Rafe live if Gabe helped, Gabe scoffed at the idea. Why? Because William hadn’t shown himself to be trustworthy (though he was). You may expect your team to trust you. This could be from your title. Or it could be because of seniority. These things won’t win the trust of your people. Only you can win their trust. You have to put in the work and the effort to gain the trust of the people you lead. This happens through hard work. Through consistency in actions. Through being a leader that does what he says he will. Be a leader people can trust. Jane Doe was a prostitute in a brothel. She was also working with Phoenix. One of the things she had done was to plant a recording device in her apartment. Through the recording device, she recorded the people she slept with. The people who entered her apartment would openly talk about the inner workings of the government and alliances. This led to secret information being divulged. It also exposed the people who had visited the brothel. You may think you’re doing things in private. These actions will never see the light of day. But you may be surprised. Our actions done in secret will often be revealed. We don’t know how or when but, trust me, secrets come to light. Be cautious of what you do in secret. What if the plan was to fail? Gabe was upset. It appeared the plan to eliminate the aliens had failed. William knew more of the plan. The plan wasn’t to wipe out the aliens on Earth. There was more to the plan. Part of that plan was to fail. Failure wasn’t the end of Phoenix’s plan. It was only the beginning. Failure gave William the opportunity to fulfill the rest of the plan. Don’t look at failure as the end. Instead, look at failure as the next step of your plan. You now know what doesn’t work. You can begin to look for another way to accomplish the plan. Failure often leads to breakthroughs. Don’t fear failure. Embrace failure. Question: Have you seen Captive State? If so, what leadership lessons did you take away from the movie? 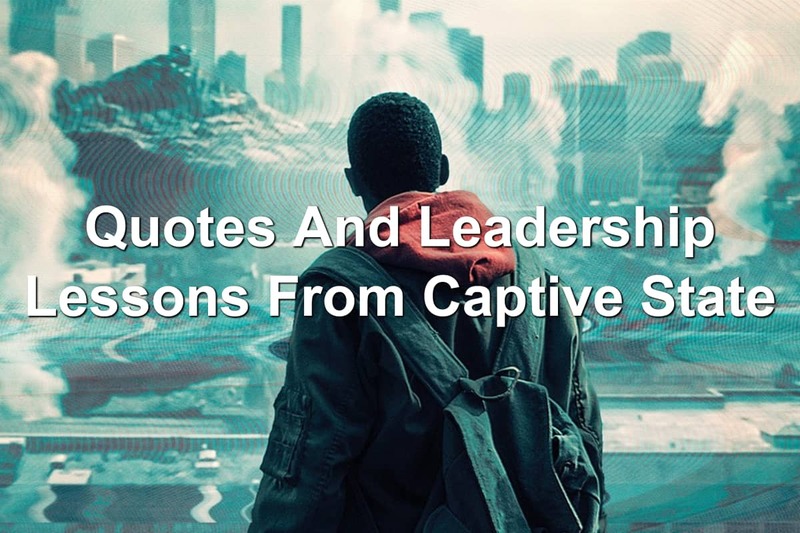 If you haven’t seen the movie, what Reel Leadership lessons from Captive State that I shared resonated most with you? Let’s talk about this in the comments below.